There's something special about going on a thrill ride. The rush of going down that first hill, to the speed and G-forces caused from sharp turns and inversions can cause ones to seek out the best and most exciting coasters. When it comes to riding coasters, sometimes you need to know where to look in order to get your coaster "fix". A few years ago, me and a few friends took a road trip to experience different rides from amusement parks on the east coast. What we found were some amazing rides we'd never dream of finding. From personal experience, these are some coasters that are in my "must be experienced" catalog of rides. Keeping in mind though, these are only a few that can be found near the east coast of the country. Although there are many other rides that could be included, these are ones that just couldn't be left off a "Must Ride" list. This world record holder for longest floorless roller coaster (4,210 feet) will make any fan of thrill rides experience the bliss of pure adrenaline rush. The ride comes with five inversions and speeds of up to 67mph. Not to mention with a ride time of 2 minutes 6 seconds, it will leave you impressed with how well designed the ride is. 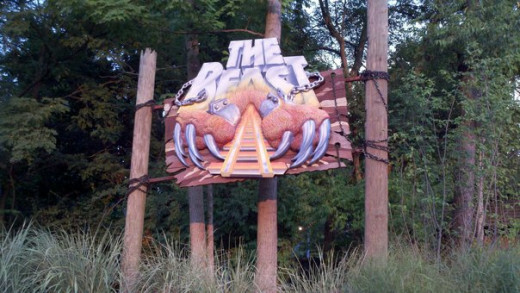 Located at the front of the park it's a awesome ride to start off your visit to King's Dominion. It's no surprise this is a fan favorite to visitors who come to ride. Another ride from King's Dominion that will leave you stunned. This is one of the unique rides you can experience. Starting off the ride, you're launched to 70mph into the "Volcano". What makes this such a fun ride is the feeling of being "erupted" from the volcano. Adding to this is the fact you hang from the track instead of the traditional on top style. Once inside the volcano, you will gradually go straight up out of the volcano with great speed thus giving you a feeling of being liquid hot magma spewing out of a volcano. Outside there are a number of spirals to take you through as well. 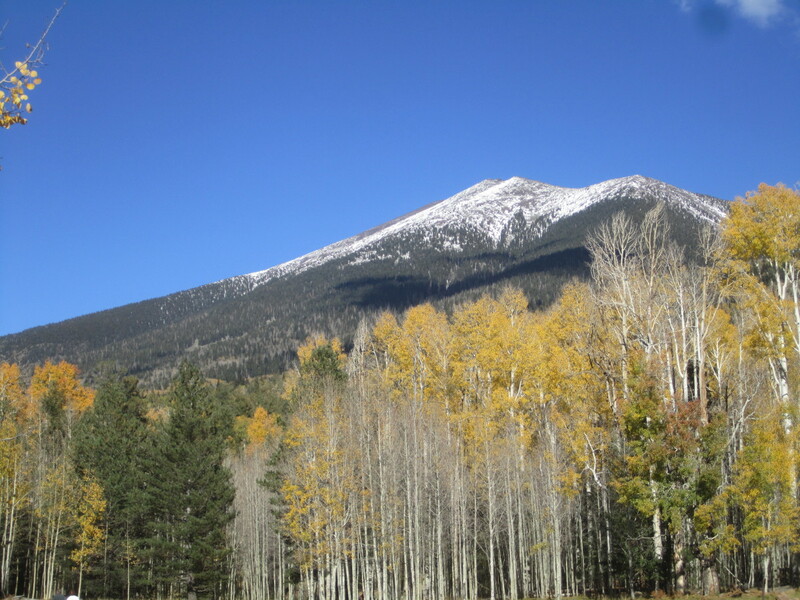 One such inversion holds the world record for second tallest (155ft). The wait can sometimes be longer than most rides, but once you have rode it yourself, you'll find why it is worth the wait. When it comes to wooden coasters, this is the one that stands above them all. With a first hill drop of 135ft don't be easily fooled. Once you are through the tunnel at the bottom of the first hill and then over its second hill, you are taken at speeds of 65mph through the backwoods. Here you will experience a few tunnels as you race through. It's something to experience at night, with no clear direction it adds to the thrill. But once you get through the woods, the finale is where it's at. After getting taken up 141ft, you will spiral down the twin helix as you race back to the docking station. A true fun and exciting wooden roller coaster. Raptor is such a fun ride it's hard not to include it on any roller coaster list. Although there have been similar rides built like Raptor, nothing compares to the design and thrill you will encounter. 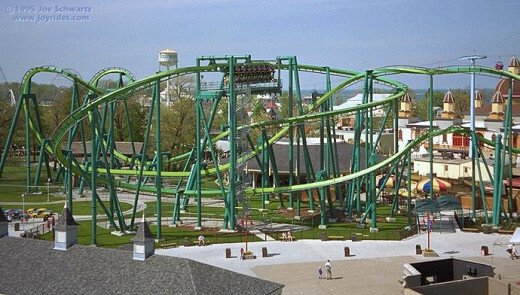 Regarded as one of the smoothest rides, Raptor reaches speeds of 57mph, but thanks to the inversions and turns it will make you think it is much faster. Despite being over 15 years old (built on May 7, 1994) this ride continues to give the thrill many ride warriors search for. If you love loops and inversions there’s not many that come close to this one. Located at the front of the park, it’s hard to miss this one for your planned visit. A must while visiting Cedar Point, considered by many the greatest amusement park in the world. Another amazing ride at Cedar Point is Maverick. One of the newer coasters at the park, instead of trying to break records in the speed, heights, and amount of inversions department, Maverick instead is your pure fun kind of coaster. With a first hill of 100 feet, the drop is where it gets you. Instead of a gradual drop, the hill takes you down at a 95 degree angle. It’s unlike most hills and is a great start to the experience. With the wild west theme (hence the name “Maverick”), you’ll race over hills and through “canyons” while also going through a unique twisted horseshoe roll, that involves two 360 corkscrew rolls. Halfway through is a tunnel under the docking station where you’ll be launched out at 70mph. One downside about this coaster however, is that it may require a significant amount of wait time depending on when you visit the park. Still it’s a ride unlike any other, and calls for the “must-ride” status if you visit Cedar Point. The newest ride to Cedar Point is located at the front of the park (and lives up to the ride’s name). By looking at the stats of this roller coaster, some may first dismiss such a ride from making this list. However don’t be so easily fooled. The first hill takes riders up 170 feet, and that isn’t a straight drop down. The hill does a curved 180 degree turn as riders experience the drop into it’s first of many loops. 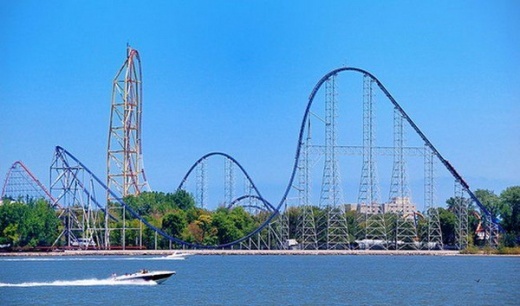 It therefore has multiple world records for first hill height, inversions, and top speed (67mph) for a winged coaster. 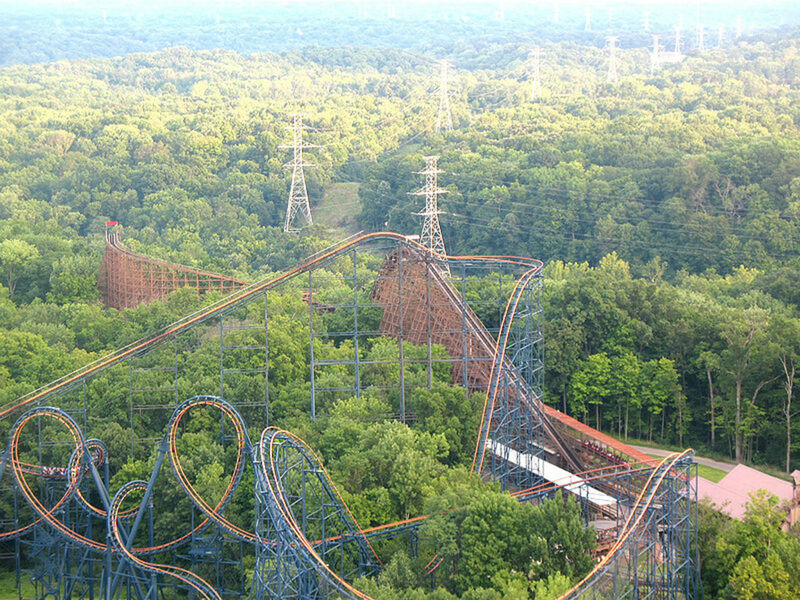 In addition, it now holds the world record for highest inversion (that title belonged to Volcano at King’s Dominion before Gatekeeper broke it). Along with the smooth but thrilling ride, there’s one other feature that gives Gatekeeper a spot on this list. Halfway through the experience, there are two pillars that are set up at the front gates. During the ride, ones will enjoy a feeling of a near miss to these walls as you approach, only to go into a corkscrew right through them. It truly gives riders a sense of thrill as they ride, and makes you want to do it all over again. Ones who come through the gate will also get to see and hear the screams of ones on the ride as it goes over the front gate, much like the Corkscrew also located at Cedar Point. Despite the long lines due to how new Gatekeeper is (and how close it is to the entrance of the park), this is worth the wait. Since it is a winged style coaster, you can ride it multiple times with a different thrill experience. The seats are placed on the side of the track instead of on top or hanging like other rides. If you make a visit to Cedar Point, this should be one of the first rides you hit up upon arriving. You won’t be disappointed. No other steel coaster can compare to this “Giga” coaster. Opening to the public in May of 2000, the name continues to hold up. Taking you up 310 feet for the first spectacular drop and hills and turns maxing out at 92mph, this is the definition of a “Thrill Ride”. Although some will say that Top Thrill Dragster is the coaster of thrills at Cedar Point, I disagree. Despite not being as tall or fast as Top Thrill Dragster (Dragster goes up 420 feet with a top speed of 120mph) Millennium has a special mix of ride variety and adventure. There has been comparison to the Intimidator 305 at King’s Dominion, which has similar speed and heights. But personally, when you add in the design of the track and wonderful view of Lake Erie, it’s a true experience you can’t miss out on. To this day, I can’t think of a better ride overall that out does this one. There’s a reason why it continues to win awards for best coaster. There are many other rides I consider to be among the best, but these are just a few examples of ones that I can easily put on a "must ride" list. 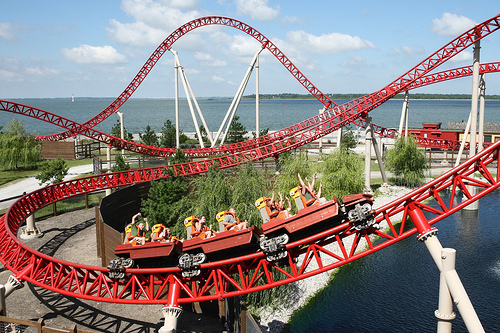 Cedar Point is owner of the most on this list, but other amusement parks still offer some unique and fun rides too. 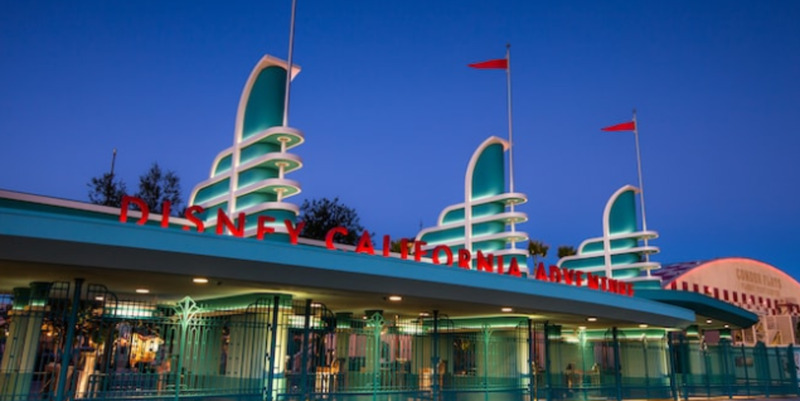 If you happen to visit any of these parks, there’s no excuse (other than the rides being shut down for the day) for you to miss out on them. Of course everyone can make their own list of “must ride” coasters, so below feel free to comment on coasters you feel should’ve been included. Some may even be ones I have yet to experience, thus giving me more reason to take another road trip for an amusement park vacation. Thanks Sarijune for the comment and read! I still enjoy testing rides to see if it can match Millennium Force, but so far nothing has bested it. I have been to several theme parks through the years and I would have to agree that it's hard to beat Millenium Force at Cedar Point. Not only is it tall, fast and fun, but it rides very smoothly. @Mike P : Intimidator 305 is a great coaster I agree. Whenever I visit King's Dominion I try to ride it if possible. However Millennium Force is very similar, so choosing between the two I picked Millennium Force. I think the design and landscape are the plus over Intimidator 305, but overall they're very close. Thanks for the read and comment! Thank you! Some of these are quite big to ride and can be scary to some. Another coaster I enjoy that's milder at Cedar Point is Gemini. A wooden coaster but a very smooth and fun ride. Glad you enjoyed the videos, I appreciate the feedback! I would like to try Maverick some day though. I also loved the touch of videos in this hub! Thank you, I like watching the videos to experience it "in my mind" too. Fun to do in the winter time when riding isn't possible, at least in this area. Thanks for the kind feedback! Thanks for the Dominator ride "in my mind." They all look like fun, especially the beast, but I'll be satisfied with the descriptions. Congratulations on your hub nomination. Randomcreative: Thank you that means a lot! I'm glad that my hub has been useful. I highly recommend Cedar Point and King's Dominion for coasters if you make a trip. You won't be disappointed. Thanks again for the nice feedback! bankscottage: I appreciate the kind words! 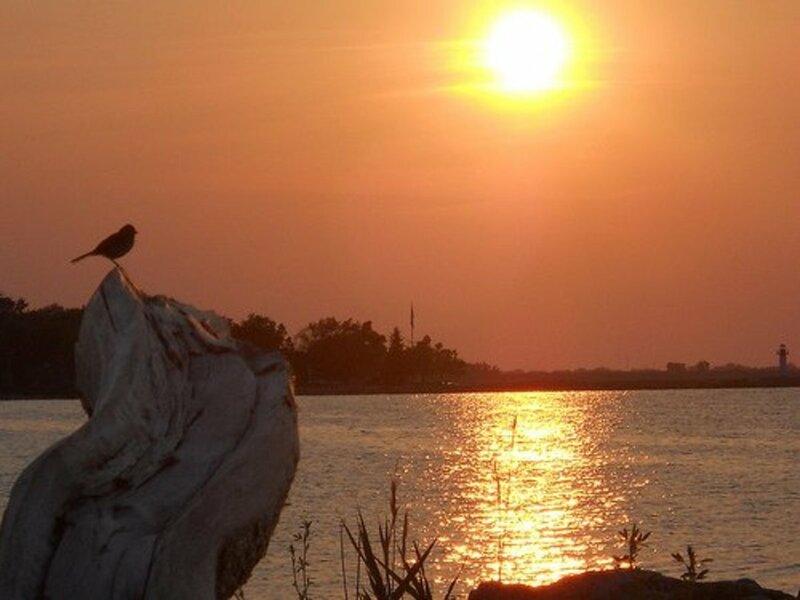 If you haven't been to Cedar Point in a while you will be surprised how different it is. They tore down disaster transport and the space bubble to put in a new coaster for next year. Looks like a fun ride, but it's sad to see those go. 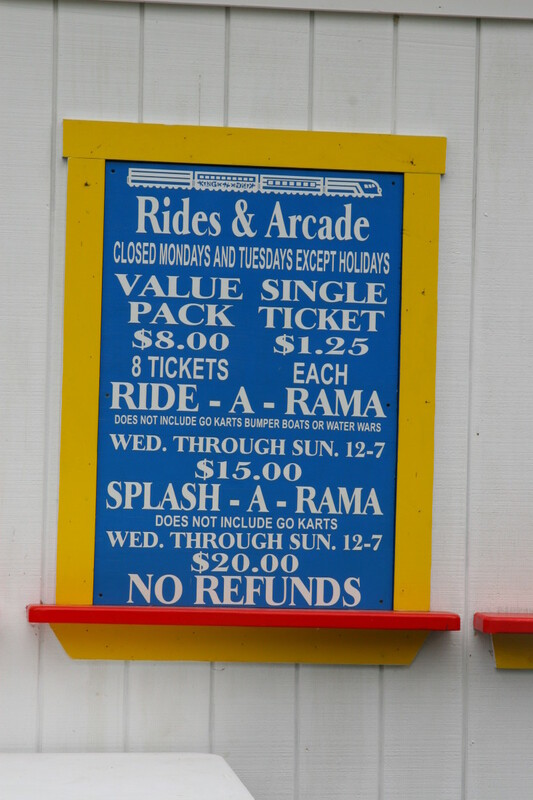 I'll have to check out that ride you mentioned if I'm in Erie, sounds like Gemini at Cedar Point. Thank you for the great feedback and vote! Beyond GS, welcome to HubPages and congratulations on your Rising Star award.. Great hub on roller coasters. I love Cedar Point, but haven't been there since 2001. Went several times in high school and when we had younger kids. This makes me want to go back soon. I believe they have special events for Halloween in October. Guess I just missed them. I went on a great wooden (actually hybrid) roller coaster, the Raven Flyer II, at Waldameer in Erie, PA. At 115 feet high, it is the highest wooden coaster in PA and 8th highest in the US. It ranks in the top 10 (currently 6) for wooden coasters. The really unique aspect of the ride is that it follows basically the same route of a coaster from the 1930's, up and across a highway! It also has a 90 degree banked curve. 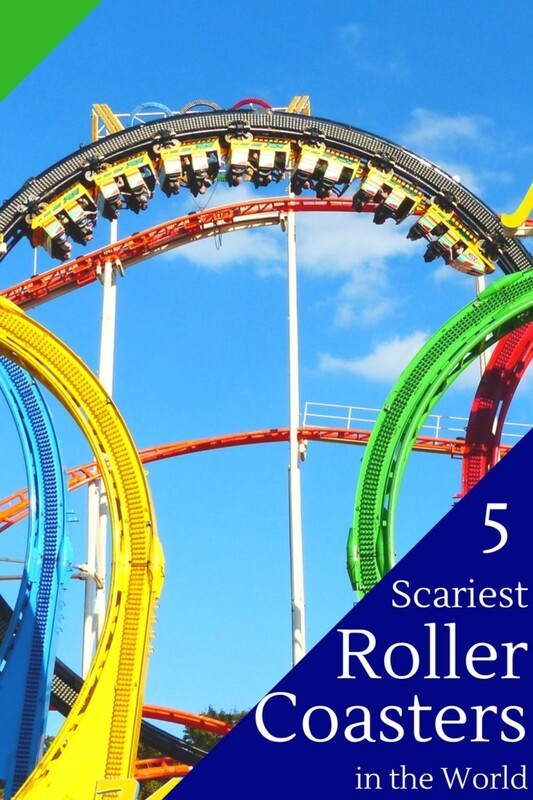 What a great resource for those who enjoy rollercoasters! You could plan a vacation around certain amusement parks. Congrats on your nomination. Well deserved. Thank you HoneyBB! It is true that some of the new ones are not impressive, but I think Millennium Force and Mavrick are my favorites. Both were made within the last 12 years so it's impressive they hold up to most new rides. Hopefully you get a chance to ride them! Thanks for the kind words, and hopefully I can win the rising star award! Great hub! Congratulations on your Rising Star Nomination! I think I would really love the "Maverick" ride. I used to love the old rollers coasters. I'm not a big fan of the newer ones but I have tried them a few times. Hopefully you can visit soon Rob! That's a long time, I'm sure you'll be surprised how different it is now. It's been so long since I was at Cedar Point (Elvis Presley died while I was there on vacation in Sandusky with my Dad and Grandma), but I remember The Corkscrew being a big time thrill at the time for a little kid. Thank you Cogerson! I think King's Dominion is the closest park to Cedar Point that I've been to. Hopefully you'll be able to visit eventually though. It's worth the trip since most the rides have a beautiful view of Lake Erie. Maybe your wife will enjoy that part of it. I've been wanting to check out Six Flags so I'll keep that ride in mind. I feel a trip coming on soon, these suggestions are great! Thanks for being a follower, appreciate the support! Excellent hub....I have ridden the Kings Dominion coasters you mention.....and I can highly recommend them as well....sadly I have never been to Cedar Point although it is on my bucket list.....just it is not on my wife's bucket list....lol. I would also mention the Superman rollercoaster in Atlanta Six Flags....you actually ride the coaster strap in and facing down....the feeling of flying is awesome. Liked this hub and some of your other hubs....so I have now become a follower.....looking forward to reading more of your hubs in the future. Thank you Michelle, I'm glad the videos help. Just watching them makes me want to go as well. I'll have to check out those parks next time I'm in the area. Always up for a new park with awesome rides. Thanks again! Thank you for sharing these, I will definitely have to add them to my list of coasters to experience. I love that you included the video for some of them, made me want to run out to the park right away! Being from New Jersey I get out to Hershey Park and Great Adventure at least once a year. If you are ever in the area I definitely recommend trying out Nitro at Great Adventure and Farenheit at Hershey. The latter opens up with a completely vertical drop and then continues to corkscrew at super fast speeds. I found nitro to be fun because it has a waist harness that is completely secure and leaves the upper half of your body free so it almost feels like you're flying.